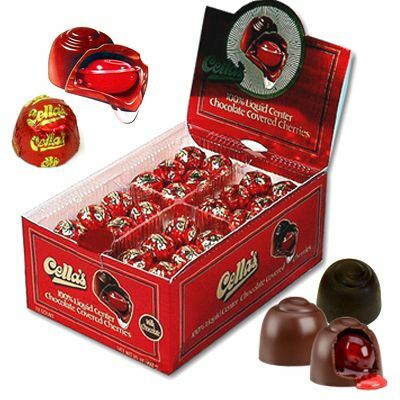 Once your taste buds have experienced the perfectly sweet center of Cella chocolate covered cherries, they have found a friend for life! 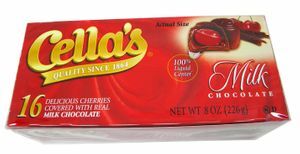 Unlike the too-sweet-for-some-folks cream found in other brands, Cella’s select cherries share their chocolate outside with a mouthwatering clear liquid. They aren’t spilling the secret on exactly how they make the magic happen, but as long as they keep sharing their cherries at such a great price, we’re just happy to help them eat them! All were in good condition. The smell was incredible when I opened the package. Delicious. I received this product in record time and in perfect condition. I love these chocolate covered cherries. It didn't last long next time I'm going to have to buy two boxes. 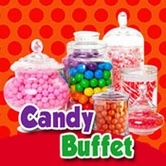 Thank you so much for having this candy in dark chocolate thank you again. I agree, i only buy the other brand when i can't find the Dark Cellas. I have a hard time finding dark at the stores i get them from,i don't know if they sell out before the Milk Chocolate ones ore they just don't stock enough. I most definitely prefer Cellas over the other brand, so please stock more. These are far and away the best out there. The liquid center is so much better than the other brands that put a sugary cream inside. Cellas usually cost more so I always try to wait until they are on sale. But I will not buy the other brands after having the Cellas.